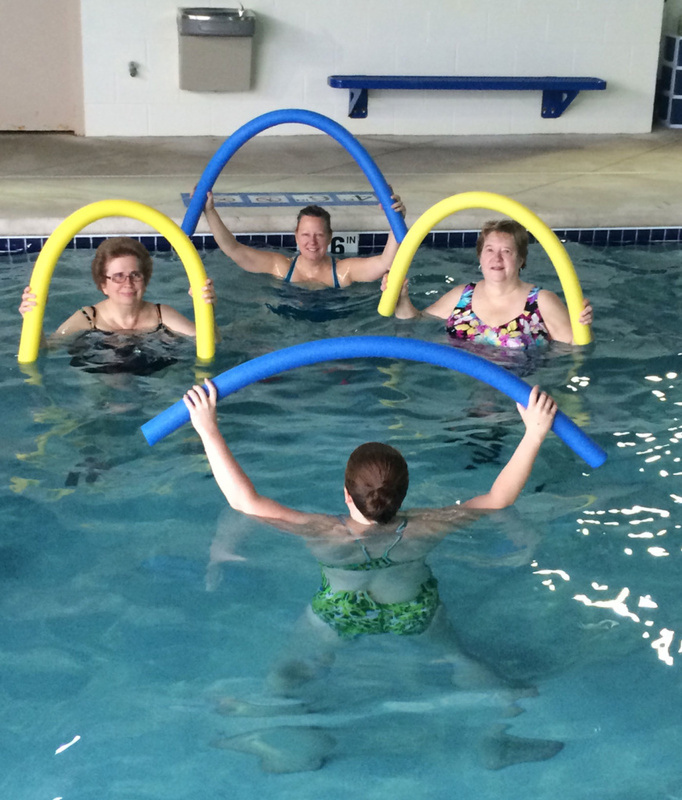 Our indoor pool is kept at a warm 90 degree temperature which allows us to offer classes all year long. This type of environment is perfect for all levels of fitness. It’s a well-known fact that water adds resistance. Did you also know water allows you to be more flexible by widening your range of motion? Most of the time your muscles will not even be sore after working out in the water. Let us aid you in your journey to a healthier lifestyle and join our Adult Membership today! 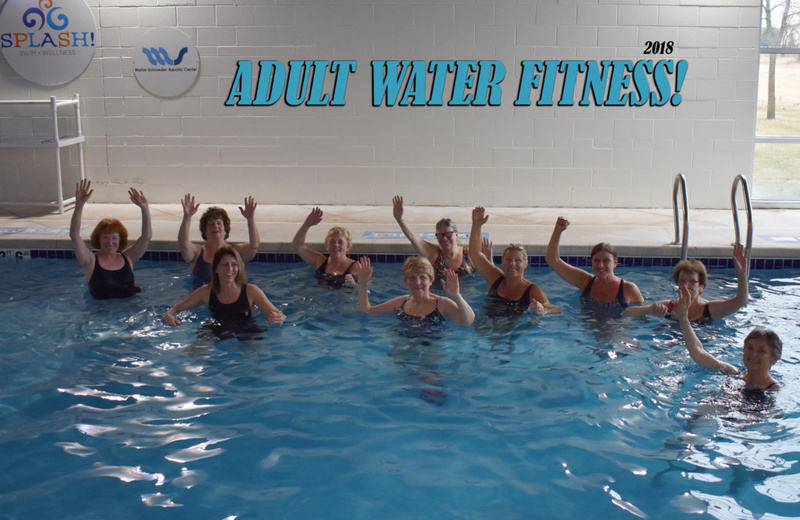 45 minute Water Fitness Classes: Offered Monday – Friday at 8am and 12:30pm. Water Strength: Using dumbbells and pool aids to strengthen arms and legs. This is a full body strength workout. Aqua Abs and Core: In recent studies 62% of women say the body part they’re most self-conscious about is their mid section. Let’s work on that! This class is focused on the abdominal muscles and core. Music Motion: Moving and grooving to the music! So much fun it doesn’t even feel like a work out. High intensity cardio work out meant to reduce body fat. Open Adult Exercise/Fitness Window: Monday – Friday 1:15pm – 3:00pm. This is where you can use the pool in whatever way you want. Adults only. Some people use for lap swimming during this time; but please be aware that our pool is 90 degrees, and also not as large as other lap pools. Free Open Swim for you and your family (all ages) on Friday 6:30pm – 8:30pm & Saturday 1:00pm – 2:30pm. 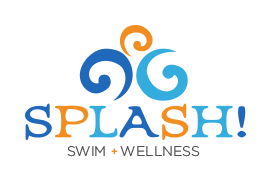 We offer a monthly membership (no contracts), which includes unlimited water fitness classes, open exercise time and family open swim. For adults with limited availability to attend classes or open exercise, we also have punch card options (5 or 10 visits.) Please call for membership & punch cards pricing @ #262-512-7946.Thank you very much!